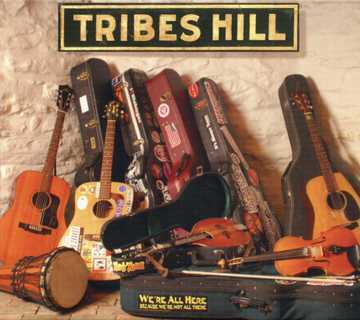 Tribes Hill - "We're All Here" - our fourth compilation CD is a collection of studio recordings by participating members of the Hudson River Valley's community based music cooperative, Tribes Hill. "Were All Here" is a newly-released double-CD compilation of songs from various independent artists. Featuring originals songs by many of the most talented regional singer/songwriters of our time including: Susan Kane; Steve Chizmadia; Abbie Gardner; Red Molly; Steve Kirkman; Joe Iadanza; Matt Turk; Fred Gillen Jr.; Chuck E. Costa; James Durst; Spuyten Duyvil; Anthony da Costa; Kelly Flint; KJ Denhert; David Goldman; the YaYas; Lara Herscovitch and more. This record is filled with acoustic guitars, harmonious voices, heartfelt lyrics - the Tribes Hill philosophy of comradery put to work in the studio! Please help support folk music and the arts in Westchester; order your copy today at CD Baby.